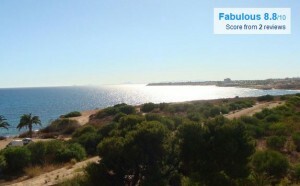 Punta Prima TORREVIEJA RENTALS DIRECT Holiday Rentals. Located 5 km from Torrevieja Marina, Bennecke Arina offers pet-friendly accommodation in Torrevieja. Guests benefit from balcony and an outdoor pool. Free private parking is available on site. The kitchen features a dishwasher and an oven, as well as a coffee machine and a kettle. Towels and bed linen are offered in this self-catering accommodation. There is a private bathroom with a bath. Punta Prima, a small urbanization between Alicante and Cartagena on the Costa Blanca. It is well situated for beach and golfing holidays, Punta Prima has a well kept sandy beach. 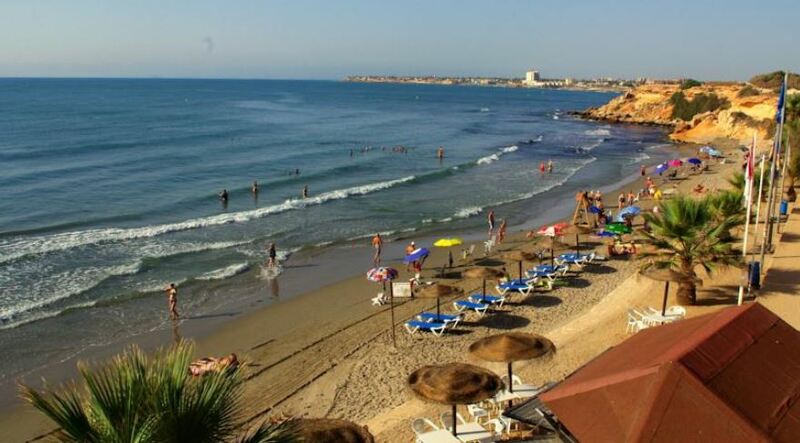 There are several other blue flag beaches within a 10 minute drive including Playa Flamenca, La Zenia and Campoamor. 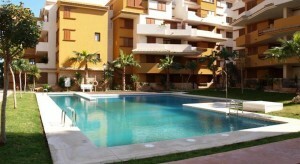 Villamartin is the nearest golf course and is just a 10 minute drive away. There are several other courses all within a 15 minute drive including Campoamor, Las Ramblas and La Finca. 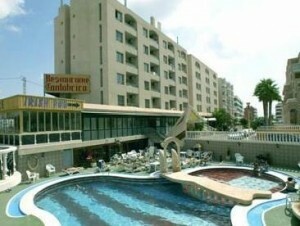 Also within the area is a large aquapark in Torrevieja. It is situated in the sunny Costa Blanca, in an area reputed to have one of the healthiest climates in the world. There are numerous Blue Flag beaches nearby. The urbanisation is easily accessible from 2 international airports, Alicante and Murcia. The neighbourhood is quiet and relaxing with a choice of activities nearby. The bustling town of Torrevieja is just 5Km away, and it hosts an outdoor market every Friday, said to be the biggest outdoor market in Spain. Spain Info, Punta Prima Torrevieja. San Francisco de Asis,Urb Marina, San Fulgencio, 03177, Alicante, Spain.